Sunday’s ad is for Genesee Beer, which was founded in Rochester, New York, originally along the Genesee River, but in 1878 they moved up into Rochester proper. Their Genesee Cream Ale, in the simple green can, was one of our go-to beers when I was in high school. 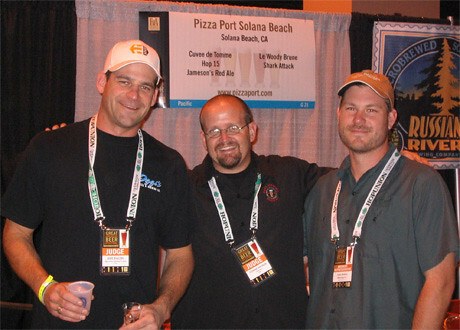 Since 2009, the brewery has been part of North American Breweries. 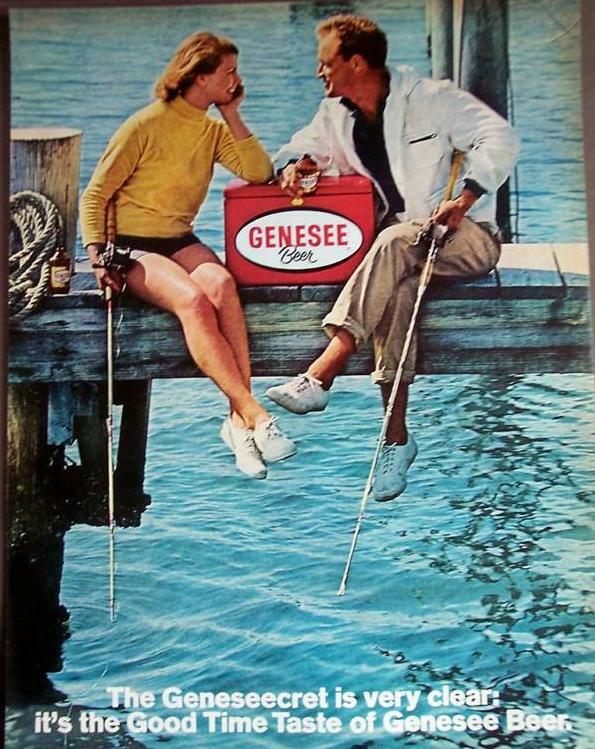 This ad, from the 1960s or 70s, features a couple casually fishing while loving staring into each other’s eyes. Between them is a cooler of Genesee beer, which may already be empty given how much they’re ignoring the fish. Today is the birthday of Charles Stegmaier (October 6, 1821-August 11, 1906). Stegmaier was bornin in Germany and worked there as a brewer until the age of 27. He moved to Pennsylvania and worked at breweries in Philadelphia, before he founded the Baer & Stegmaier Brewery with his father-in-law, in Wilkes-Barre, in 1857. 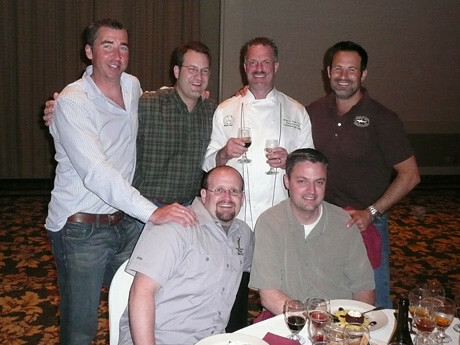 It eventually became known as the Stegmaier Brewing Co., and Charles ran it with his sons, Christian, Fred and George. Charles Stegmaier was born in Gmund, Wurtemberg, Germany, on October 7, 1821, where he learned the art of brewing. At the age of 27, having been brewmaster at several large local breweries, he sailed for America, arriving in New York in 1849. He quickly found employment with Engle & Wolf brewery in Philadelphia, and then with the Louis Bergdoll brewery. Charles formed a short-lived partnership with John Reichard of the Reichard & Weaver brewery, and came to Wilkes-Barre in 1851. This business association produced the first lager beer brewed in the Wyoming Valley. A longer partnership was formed in 1851 when Charles met Catharine Baer, daughter of George C. Baer. Charles and Catharine were married on January 4, 1852. The couple had six children – Charles Jr., Christian, Anna, George, Louise, and Fred. In 1857 he formed a partnership with his father-in-law to build a small brewery. The new Baer & Stegmaier Brewery was opened in 1863 and lasted until the Panic of 1873. 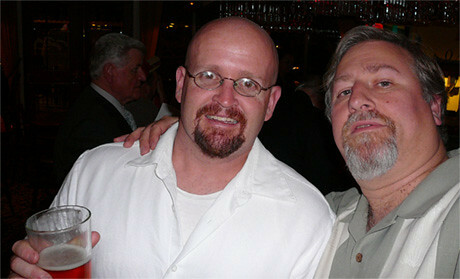 Charles entered the hotel business for two years before buying another brewery. Forming a partnership with his son, Christian, he successfully increased business and repurchased the Baer & Stegmaier Brewery in 1880. They built a new brewhouse and storage facility in 1894, increasing annual capacity to 300,000 barrels. By the standards of the time, this was an extremely large brewery, and they incorporated the firm in 1897 as the Stegmaier Brewing Co. Charles, who continued active management of Company affairs until 1902, operated the firm with his sons, Christian, Fred and George. Like other philanthropically minded entrepreneurs, Charles invested in the Wilkes-Barre community. A public-spirited citizen, he contributed a significant portion of his income to the organized charities of the Wyoming Valley. Charles died of general debility at his daughter’s home in Los Angeles, California, on August 11, 1906. He left an estate valued at $4 million. The Stegmaier brewery in 1870. Charles Stegmaier, born October 7, 1821, learned his trade in his home area of Wurtenberg, Germany. At the age of 27, having been brewmaster at several large local breweries, he set sail for America. 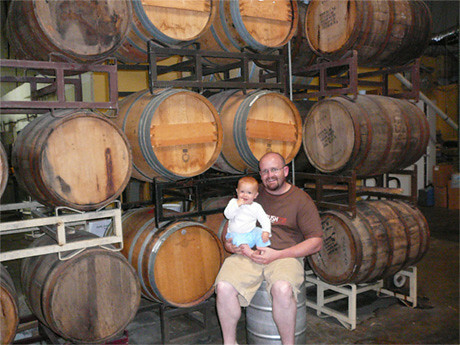 He quickly found employment at the small Corporation Brewery in Philadelphia. Shortly thereafter, he gained employment with the Louis Bergdoll brewery, where he met John Reichard of the Reichard & Weaver brewery in Wilkes-Barre. This friendship of 1851 sent Charles packing on a 120-mile trip upstate, where he and John formed a short-lived partnership. 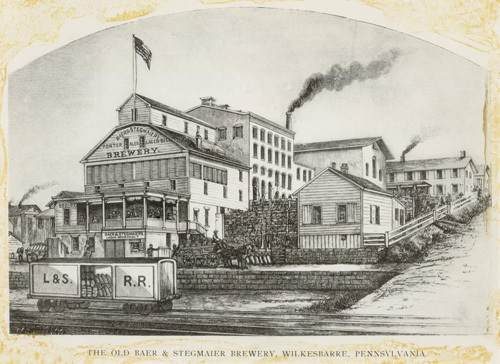 This business association produced the first lager beer in their section of Pennsylvania. A longer partnership was also formed in 1851 when Charles married Catharine Baer, daughter of George C. Baer. Several years later, Charles accepted a position in Pottsville with the George Laurer brewery, but he returned to Wilkes-Barre in 1857 to establish a bottling business. He quickly formed a partnership with his father-in-law, George Baer, to build a small brewery on South Canal Street. They brewed with a wooden kettle and stored their beer in an abandoned coal mine tunnel while a new brewery with underground vaults was built on East Market Street. The new Baer & Stegmaier Brewery was opened in 1863 and lasted until the Panic of 1873. Out of a job, Charles entered the hotel business for two years before buying the Joel Bowkley Brewery on North River Street at the Canal. 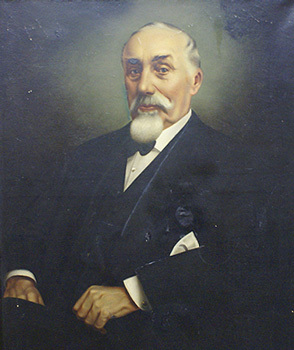 Forming a partnership with his son, Christian E. Stegmaier, he successfully increased business to the extent that they could repurchase the Bear & Stegmaier Brewery in 1880. Output continued to grow under the name of C. Stegmaier & Son; a new brewhouse and storage facility were built in 1894, increasing annual capacity to 300,000 barrels. By the standards of the time, this was an extremely large brewery. Charles and Christian incorporated the firm in 1897 as the Stegmaier Brewing Co. Charles, who continued active management of Company affairs until 1902, operated the firm with Christian and his other sons, Fred and George. The Stegmaier family were highly esteemed as citizens of the city; they were extremely charitable and contributed greatly toward the growth and development of Wilkes-Barre. Success this time was not short-lived; the company enjoyed many productive years before closing during long years of slow decline of the local brewers in October, 1974. Between 1910 and 1913 Stegmaier won eight gold medals at expositions in Paris, Brussels and Rome. After prohibition it became one of the largest independent breweries in North America, reaching an output of a half million barrels in 1940. Using a 60-truck fleet and rail services, the distribution areas eventually covered the East Coast from Maine to Florida – a considerable evolution from the days of 1857 when Charles Stegmaier personally delivered each barrel of beer with an express wagon drawn by a husky goat. The sudden announcement in 1974 by Edward R. Maier, great grandson of Charles Stegmaier, that the Stegmaier label was sold to Lion, Inc. of Wilkes-Barre sent shock waves through the brewery’s work force. The Company’s financial situation was known to be deteriorating, but the notice of sale still came as a surprise to most. The Company was a family-run business covering four generations, always respected as a “class act” by its loyal employees, many of whom were from families whose parents and grandparents had worked with Charles Stegmaier. About 50 employees, along with Maier as Executive Vice President, were employed by Lion, Inc., but some 150 workers lost their jobs. The vacated Stegmaier brewery, purchased for back taxes in 1978, is currently owned by the City of Wilkes-Barre. The City has hopes of selling it to a developer who will pursue historic restoration of the buildings. 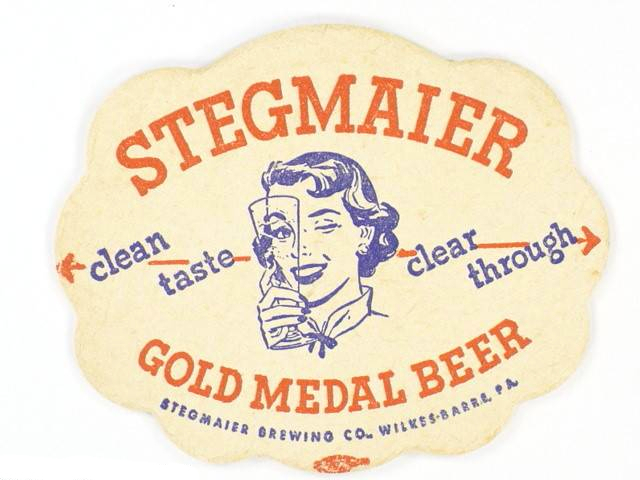 Stegmaier’s many years of brewing brought us not only award winning beer, but a myriad of advertising memorabilia. A room of considerable size could be filled with historic breweriana with the “Stegmaier Brewing Co.” name appearing. Stegmaier beer is still produced by Lion, Inc., of Wilkes-Barre, and remains one of the firms best selling products. Enjoy a cold, frosty “Steg” and appreciate the history that the Stegmaier Brewing Co. has left behind. 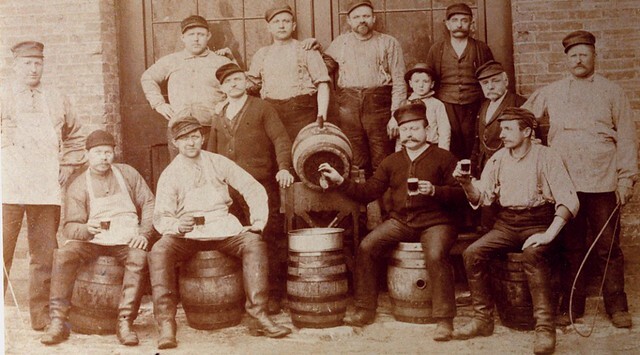 Stegmaier Brewery workers c. 1894. Pennsylvanians may recall the infectious jingle advertising Stegmaier beer on WFIL radio and television in Philadelphia and shouted across billboards in the Pocono Mountains and the northeastern counties of the Keystone State in the 1960s. It was part of an aggressive advertising campaign launched by the Wilkes-Barre-based brewing company to retain its dominant position in the regional beer-making industry over emerging consolidated national brewers. Stegmaier’s not only prevailed in the competition, but strengthened its relationship with its fiercely loyal consumer base struggling to survive the economic dislocation created by the demise of the region’s anthracite industry. The Stegmaier Brewing Company was an inextricable part of northeastern Pennsylvania’s cultural identity for more than a century. 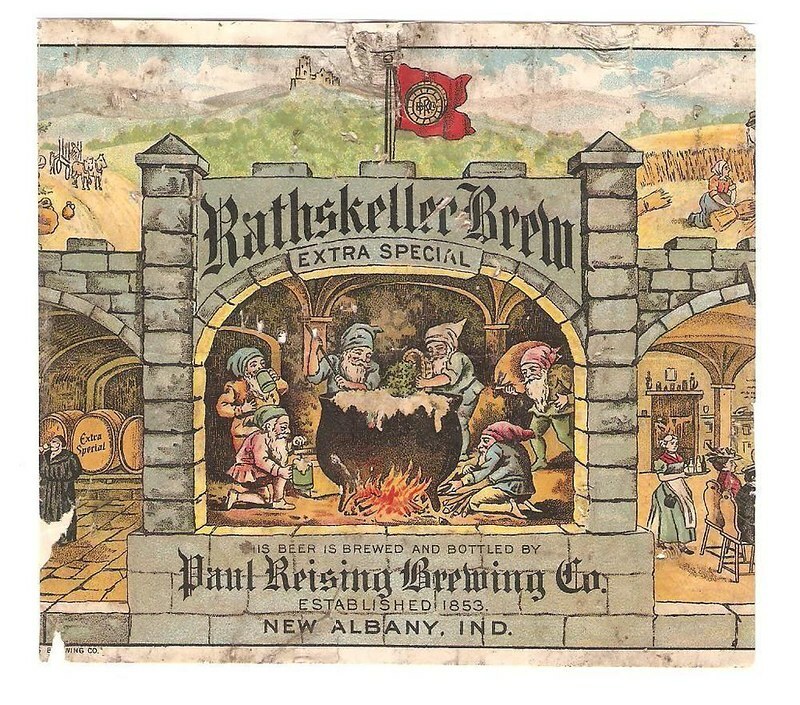 Founded in 1857 by German immigrant Charles E. Stegmaier (1821-1906), the business began as a modest brewery and bottling operation but, by the turn of the century, was producing 800,000 barrels of beer annually, making it one of the largest breweries in the United States. Stegmaier is the story of a German immigrant’s quest for the American Dream. Pennsylvania’s beer-making industry dates to the earliest communities established by English and Dutch settlers in the early to mid-seventeenth century. The colonists quickly recognized that the climate and soil of the Mid-Atlantic region were particularly well suited to brewing beer and growing malt and hops, two of beer’s essential ingredients. William Penn, the Quaker founder of the colony, brewed beer at his Bucks County estate, Pennsbury Manor. His capital city of Philadelphia boasted at least four brew houses as the city’s earliest settlers were hearty drinkers. Beer was an essential staple in the seventeenth-century diet of Pennsylvanians and continued to be the drink of choice throughout the eighteenth century when brewing expanded to other communities such as Reading, Allentown, and Pittsburgh. For many years the production of beer remained a local enterprise. Bottling was expensive and beer did not stay fresh for long periods of time. Nearly all beer was stored in, and served from, wooden kegs. While there were many small breweries it was not uncommon for households to brew their own beer, particularly ales, porters, and stouts, in the English tradition. During the nineteenth century Pennsylvania witnessed the emergence of brewing as a significant industry. Industrial growth attracted considerable immigration from strong beer-drinking countries such as England, Ireland, and Germany. German immigrants, in particular, were skilled craftsmen who found work in the building and beer-making trades. Breweries were established in every major city and many towns associated with the steel and coal industries. One of these immigrants was Charles E. Stegmaier. Born on October 7, 1821, in Gmund, Wüttemberg, Germany, Stegmaier at the age of fifteen became an apprentice to a local brewer. He spent thirteen years learning the art of brewing. Intent on parlaying his knowledge into a lucrative business the twenty-seven-year-old German set sail for the United States in 1849. He settled in Philadelphia where he found employment at the small Corporation Brewery, also known as the Philadelphia Joint Stock Brewery, at 209 North Third St. 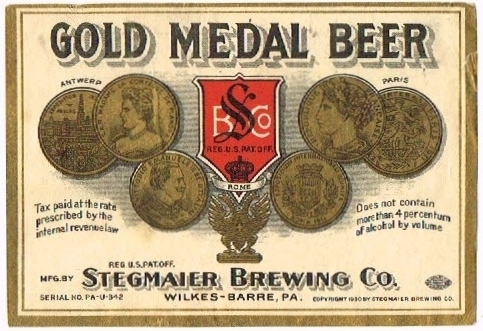 In 1851 Stegmaier joined the Louis Bergdoll and Sons Brewing Company, also in Philadelphia, where he met Wilkes-Barre brewer John Reichard who had been producing British-style ales. Reichard brewed his beer with top fermenting yeasts which ranged from light pale ales to hearty chocolate-colored stouts and porters. The American market at the time was yielding to an increasing demand for German-style lager beers. Lager beers require a great deal of care and attention; not only do they need a longer maturation period than ales, but they use a bottom fermenting yeast and are much more sensitive to temperatures. Capitalizing on the shifting market Stegmaier and Reichard formed a partnership at Wilkes-Barre to produce the first lager beer in northeastern Pennsylvania. On January 4, 1852, Stegmaier married Katherine Baer (1820-1885) and they became the parents of six children, five of whom survived into adulthood: Charles Jr., Christian E., George J., Frederick J., and Louise, who married Philip Forve. Newly married and with a child on the way, Stegmaier had greater ambitions. He accepted a position as a brewer with George Lauer of Pottsville, Schuylkill County, operator of the Orchard Brewery from 1845 to 1860 and one of the most prominent brewers in Pennsylvania. During the next five years, Stegmaier learned the intricacies of managing a brewery and lived frugally, intending to find a suitable place to establish a brewery of his own. Confident that Wilkes-Barre, with its growing anthracite mining industry and its rapidly increasing population, would eventually provide a lucrative market for his products, Stegmaier returned to the Wyoming Valley in 1857 and entered into a partnership with his father-in-law, George C. Baer. They established their business on Hunt Street. It was a provincial operation in which beer was brewed in a wooden kettle and stored in an abandoned mine tunnel to keep it cool. Stegmaier delivered the beer to local bars and taverns in a goat-drawn cart. He devoted himself to every detail of the business, made friends, and extended his trade. Within a few years, they erected a small brewery on South Canal Street, formally adopted the name of Baer and Stegmaier Brewing Company, and hired five employees. Baer and Stegmaier prospered, enabling the partners to build a new brewery with underground vaults on East Market Street. The new operation, opened in 1863, enabled the firm to enlarge its brewing and storing capacity and to steadily increase its trade. It was one of 1,269 breweries in the United States. Collectively, the breweries produced more than one million barrels of beer yearly for the nation’s population of thirty-one million. New York and Pennsylvania accounted for 85 percent of the production. But the boom and bust economy of the late nineteenth century ended success for many breweries. During the Panic of 1873, which triggered a severe economic depression that lasted until 1879, values depreciated to such an extent that many breweries failed. Forced to sell his brewery, Stegmaier briefly entered the hotel business before declaring bankruptcy. Despite the financial setback he managed to regroup by 1875. He formed a partnership with son Christian and leased the old Joel Bowkley Brewery on North River Street. Within two years C. Stegmaier and Son increased production to 4,362 barrels of beer. With the profits Charles was able to repurchase the Baer and Stegmaier Brewery in 1880. Output continued to grow and the brewery expanded to a sprawling 4.6-acre complex. In 1890 Stegmaier commissioned Adam C. Wagner (1858-1935), a Philadelphia architect who designed fifty brewing plants during his career, to draw plans for a new cupola-topped brew house, administration building, and storage facility. Construction of the handsome complex was completed in 1894. The elaborately crafted, wood-paneled office building was centered among the brew, wash, bottle, and barrel houses, where more than three hundred employees worked. Workers kept the brewery in immaculate shape and it awed visitors with its gleaming brass railings, brightly shining kettles, and enormous vats. The new facilities also allowed the company to increase annual capacity to 400,000 barrels, making C. Stegmaier and Son an extremely large brewery by the standards of the time. The company specialized in Lietbotschaner lager, marketed as “the people’s popular beverage,” and porter. It employed forty-seven men at the brewery, as well as drivers for thirty-six delivery horses. The enterprise was so prosperous that Stegmaier returned to the hotel business, operating the Brewery Hotel at the corner of East Market and Baltimore Streets, where the company’s offices were also located. It was also during this decade that Stegmaier’s other sons, Charles Jr., George, and Frederick, began working for the company. Charles Stegmaier was literally in the right place at the right time. Beer was a mass-produced, mass-consumed beverage at the close of the nineteenth century. 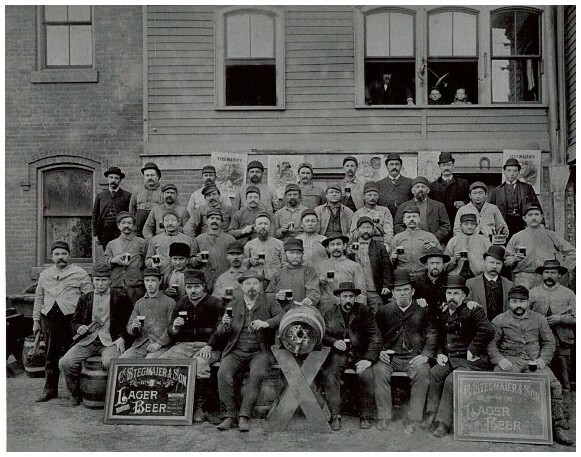 At a time when America was becoming an industrialized society most workers in the manufacturing and mining trades drank beer during and after working hours. The beverage also benefited from a growing temperance movement that advocated beer instead of spirits such as rum or whiskey with considerably higher alcoholic content. Stegmaier capitalized on these trends. He launched an ambitious billboard campaign advertising his company’s brews as “Recommended by Prominent Physicians for Purity, Strength, and Flavor.” Other advertisements emphasized his hotel’s proximity to the Lehigh and Susquehanna Railroad Company’s train depot, noting that the “bar is always open and stocked with the choicest of wines, ales, liquors, and cigars.” The brewery enjoyed an enormous regional market supported by thousands of coal miners, as well as a growing national market. Stegmaier was one of several companies that increased its scale of production and scope of distribution by utilizing the growing railroad system to distribute beer in more distant markets. 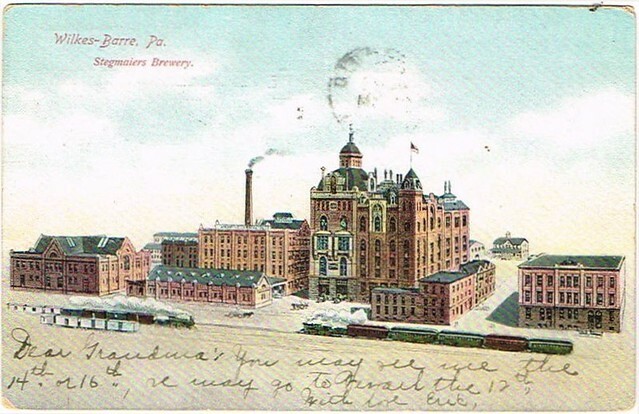 Situated across from the New Jersey Central Railroad line, the Stegmaier Brewery was easily able to transport its beer to consumers along the East Coast. Although not considered a powerful national-oriented brewery such as Pabst in Milwaukee and Anheuser-Busch in St. Louis, Stegmaier was able to compete with these larger firms in the eastern United States. Its regional success was due to such innovations as pasteurizing, bottling, and transporting beer, compared to the locally-oriented breweries that mainly supplied draught beer in wooden kegs to their immediate markets. In 1897 the Stegmaiers incorporated their enterprise as the Stegmaier Brewing Company, an acknowledgement that the firm was a family business operated by father and his four sons. The company’s value was estimated at $600,000. Charles, who served as president, received 5,400 shares, and his sons 150 shares each. 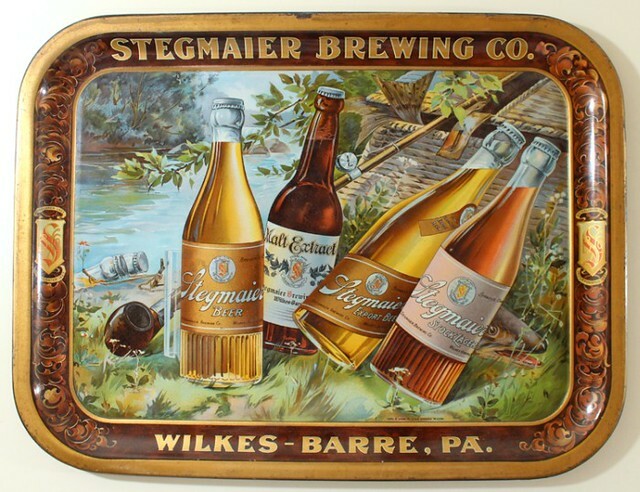 With a labor force of several hundred and cold storage plants and depots throughout northeastern Pennsylvania, Stegmaier was producing 110,000 barrels per year by 1903, doubling the output of any other brewery in Luzerne County and making it the largest brewery business outside of Philadelphia and Pittsburgh. Charles Stegmaier enjoyed the wealth he had worked so hard to achieve. He lived in luxury at the new Hotel Sterling. His suite on the top floor overlooked the Susquehanna River, Public Square, and the River Common. He was also an exceptional individual. Stegmaier was shrewd in business but scrupulously honest; frugal in his personal lifestyle but lavish in his hospitality. A modest man, he disliked praise or notoriety but was always willing to help a deserving cause. Like other philanthropically-minded entrepreneurs Stegmaier invested liberally in the Wilkes-Barre community and contributed significantly to the organized charities of the Wyoming Valley. He served on the boards of the city’s largest commercial enterprises and financial institutions. He made every effort to employ the “deserving” and “industrious” poor rather than those who were “idle” and simply looking for a handout. As a result, employees and their families were extremely loyal, as sons and grandsons eventually went to work for the brewery. When he died on August 11, 1906, Charles Stegmaier left an estate valued at $4 million, the equivalent of nearly one hundred million dollars in today’s currency. His sons continued the brewery with mixed success. 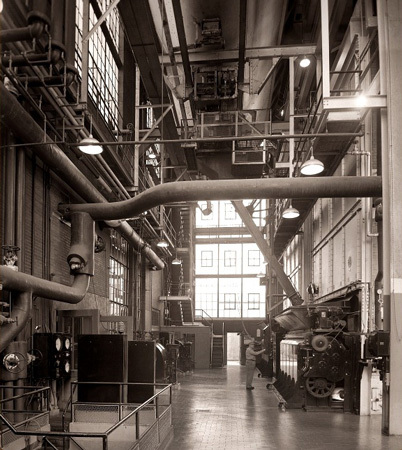 Stegmaier’s boiler room, c. 1930. By 1910 brewing had become one of the leading manufacturing industries in the United States with 1,568 active breweries. Stegmaier reaped the rewards of that success winning eight gold medals at expositions in Paris, Brussels, and Rome between 1910 and 1913. In 1916 Stegmaier was producing more than 200,000 barrels annually, cementing its status as the largest brewery in northeastern Pennsylvania. As the brewery continued to grow, however, so too did the body of temperance reformers who sought to entirely eliminate alcoholic beverages from American life. The “dry forces” prevailed with the ratification of the Eighteenth Amendment on January 29, 1919, and once again the Stegmaier Brewing Company would struggle to survive. Prohibition made the production and distribution of beverages with more than one-half of 1 percent alcohol illegal and resulted in the closing of many small breweries that had been profitable. The larger shipping breweries with much greater investments were not as inclined to walk away from brewing. Schlitz, Blatz, Pabst, and Anheuser-Busch, the leading pre-Prohibition shippers, began producing “near beer,” a malt beverage containing less than one-half of 1 percent alcohol. While it was not a commercial success, its production allowed the firms to keep current their beer-making skills and generate modest revenues. Anheuser-Busch called its near beer Budweiser which was simply the old Budweiser lager beer brewed according to the traditional method and then de-alcoholized. The federal government granted special licenses to leading breweries which allowed them to brew beverages with an alcohol content greater than one-half of 1 percent for medicinal purposes. The licenses gave them a competitive advantage since they were able to keep their brewing staff working. Stegmaier’s was caught in the middle. While it was larger than the other local breweries, it did not command the market of the bigger ones, which enjoyed a much greater national distribution. Stegmaier weathered the storm of Prohibition by producing near beer and malt syrup. While the company advertised malt syrup as an ingredient for baking cookies it was really intended for homemade beer. In April 1933 Congress amended the Volstead Act to allow for 3.2 percent beer. Eight months later, in December, after more than thirteen dry years, Congress and the states ratified the Twenty-First Amendment, officially repealing Prohibition. After Prohibition ended Stegmaier’s became one of the largest independent breweries in North America, reaching an output of a half million barrels in 1940. During World War II the brewing industry boomed as consumers, both soldiers and civilians, used some of their wages for beer. Per capita consumption grew by 50 percent between 1940 and 1945. Stegmaier seized the opportunity to expand its market. Using a fleet of sixty trucks and rail services, the brewery’s distribution areas eventually covered the entire East Coast from Maine to Florida. The company, proud of its magnificent complex completed in 1894, used images of it on stationery, including billheads which also advertised export and select beer, stock lager, porter, malt extract, and ales. Stegmaier beer is still produced by The Lion Inc. at its North End brewery and remains one of the firm’s best-selling products. The Stegmaier brewery complex, purchased by the City of Wilkes-Barre for back taxes in 1978, was restored by the awardwinning architectural firm of Bohlin Cywinski Jackson and now serves as a federal office building. The Victorian era red brick brew house remains from the brewery’s glory days, an impressive reminder of the days when beer was the workingman’s champagne, and the robust aroma of hops, barley, and malt filled the air of downtown Wilkes-Barre. Today is the birthday of Paul Reising (October 7, 1819-January 30, 1879). He was born in Bavaria, Germany, but moved to the United States when he was 35, in 1854. 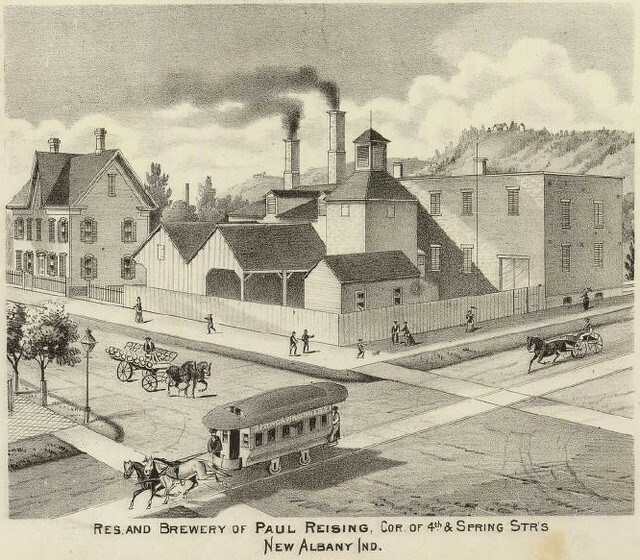 In 1857, he bought the City Brewery of New Albany, Indiana, from Joseph Metcalfe, and renamed it the Paul Reising & Co. Brewery, and a few years later the Paul Reising Brewing Co. It kept going after his death in 1879, but the business declared bankruptcy in 1915, and was sold. Paul Reising was born in the village of Hoerstein, Bavaria in 1819. He married Susanna Stadtmueller, also a native of Hoerstein in 1842 and came to America on board the ship Juventa bound from Havre de Grace to New York in 1854 (for more information on him and his family see Paul Reising Family History). He purchased the City Brewery in New Albany in 1861. When he purchased it, it was a mere 20×60 feet with a capacity of 1500 barrels of beer annually. 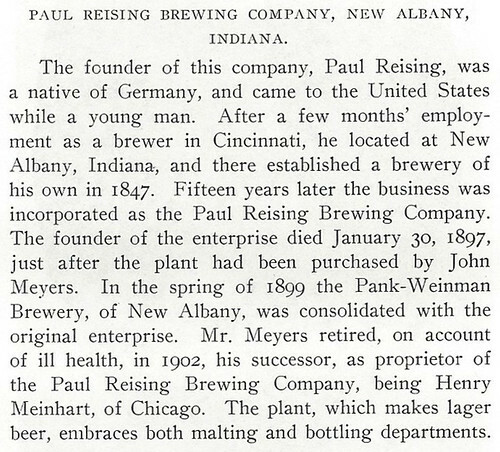 In 1873 the Paul Reising Brewing Company was incorporated with a capital stock of $100,000. By 1891, the capacity had been increased to 12000 barrels. 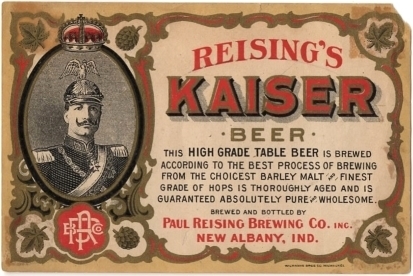 Fred Kistner, Reising’s son-in-law was to have inherited the brewery, but he predeceased Reising and the brewery was sold to John Meyer. By 1913 the president of the company was H. L. Meinhardt. In 1914 financial disaster overtook the company, when some apparently bad beer was distributed without quality control. The company was forced into bankruptcy in 1915. After the bankruptcy the company was sold to Michael Schrick, and was eventually renamed the Southern Indiana Ice and Beverage Company during Prohibition. This company closed in 1935. The old brewery site was reopened as the Polar Ice Company. This was razed in 1969 when the Holiday Inn which occupies this location now was constructed. No Brewery buildings remain. Employees of the Paul Riesing Brewery.